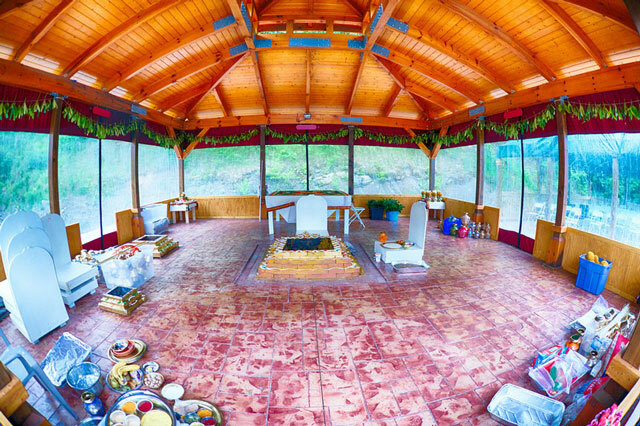 The Yagya Shala has been designed according to Vedic guidelines and houses the Havan Kund (fire pit). This is the outside structure, near the Student Union, where Sri Somesvara havans are generally performed. Guidelines for the Yagya Shala are similar to guidelines for Sri Somesvara Temple. Go to the Sri Somesvara Temple Etiquette page for more information. Go to the Sri Somesvara calendar to see when the next havan is taking place.